The companionship, the playing around, the out-of-this-world cuddles—the list of perks for having a dog goes on and on. And as if taking (and subsequently gushing over) photos of your dog and hanging out with them weren’t enough, there are even health benefits that come from owning a dog. From reducing stress to losing weight, to making a difference in your heart health, there are so many advantages to having Fido as part of the family. However, there’s one slight drawback that can affect a lot of plans, both in the present and in the future. Whereas cats are more than content existing on their own, dogs need more extensive care. Cats and other smaller animals can be left for days at a time, provided they have enough food, water, litter, etc. Dogs, on the other hand, need daily exercise and activity, require being let outside, as well as just require more attention in general. Considering that dogs simply can’t be left to their own devices for extended periods of time, this means that your trips and travels might experience some road blocks along the way—and not just due to construction on I-70. Fortunately, the answer lies in New Victorian Inn & Suites. With our pet-friendly hotels in Lincoln and other Nebraska locations, you can have your cake and your dog can eat it too (or at least, they can try). 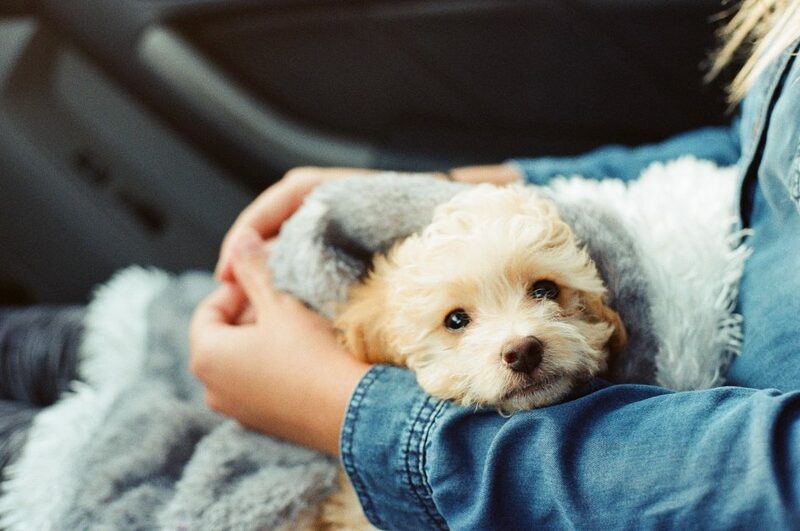 Find out some of the reasons that bringing your dog on your next road trip is a great idea, then make a hotel reservation at New Victorian Inn & Suites in Lincoln today! You won’t need to arrange for a pet sitter. When you have a dog, the list of setting up arrangements for a pet sitter could seemingly go on forever. You have to find someone who’s available and capable of providing the care your dog needs, you need to write out all the instructions, make sure keys and garage codes are made accessible to your pet sitter, and then give the world’s worst goodbye to your sweet, sweet pooch. Not exactly the tone you want when starting on a trip. When you stay at a pet-friendly hotel—like New Victorian Inn & Suites—you won’t have to take care of any of these plans and preparations. Sure, you’ll still have to pack everything and make sure Spot is set for the road, but staying at a pet-friendly hotel saves you time—not to mention the agonizing departure and ongoing worry that everything’s going OK.
Pet boarding fees can be costly. You might be perfectly content shelving over some money for your precious Princess the poodle to stay at a luxury pet hotel, complete with flat screen TVs (and yes, we mean plural), air conditioning, and their own personal yard. If that’s the case, no harm no foul. But if that kind of spoiled treatment makes your eyes bulge and your wallet shrink, you might be better off bringing Princess on the road. Fees at pet-friendly hotels are usually less expensive than paying for pet boarding, especially if you’re only utilizing that hotel for a few nights. You might be en route to a couple nights camping near the Nebraska National Forest, or driving back from a weekend at the in-laws and in desperate need of a stop along the way. No matter the case, there’s a very good chance that you’ll save money by coming to our pet-friendly hotel in Lincoln. There’s less anxiety for you (and your little dog, too). Going back to that first point, leaving pets behind can be a bit stressful—for everyone involved. Some dogs do just fine hanging at the pet boarding place for a few days, whereas other dogs might get extremely stressed and anxious. Not to mention, you, as a pet parent, might feel increased anxiety, worrying about how your dog’s doing. If your dog had a recent veterinary procedure and is needing some extra TLC, this might be an inopportune time to change your plans. But never fear, because our pet-friendly hotel is here and will allow you to skip the stress of an anxiety-ridden week apart. By bringing Baxter, you’ll only have to worry about getting them the proper bathroom breaks and remembering to pack their favorite toy. 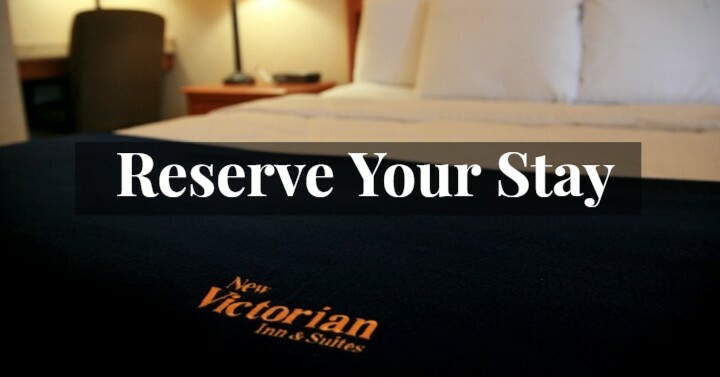 At New Victorian Inn & Suites, we pride ourselves for being the utmost accommodating we can be, at nightly rates that you can afford. Our pet-friendly hotel is ready for you and your favorite four-legged creature to stay for a visit. Book a hotel reservation today!